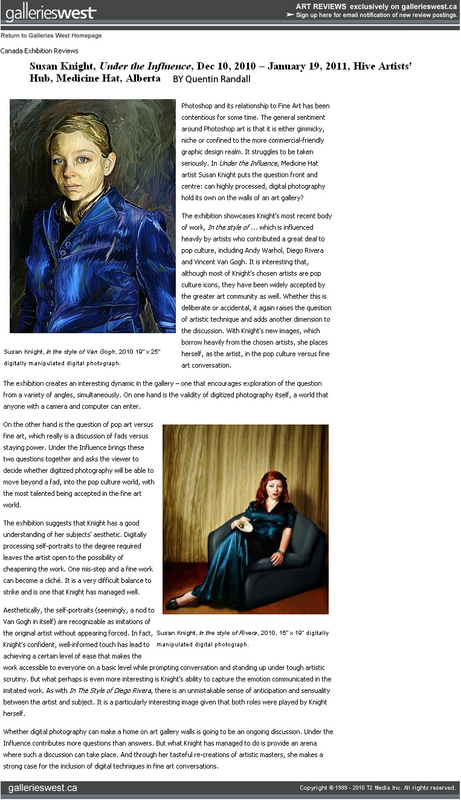 Back in January, Quentin Randall wrote a review of my solo exhibition for Galleries West online show review section. I found out this week that it will be in the print eddition for their summer 2011 issue! That’s exciting!! This entry was posted on Friday, May 6th, 2011 at 2:30 pm. It is filed under News, Press. You can follow any responses to this entry through the RSS 2.0 feed.